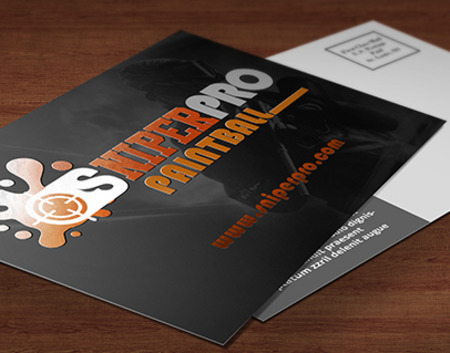 Make your brand pop with our postcard printing services. Welcome new customers or win back old ones with postcards that pop with personality. Spot UV postcards feature a high-gloss coating that’s applied to selected areas of your artwork. They are best used for highlighting a message, adding a background texture, or making your artwork stand out. The result is an attention-grabbing and tactile design that customers love. Whether you’re announcing the opening of your company or thanking customers for their loyalty, Spot UV postcards will surely make your business stand out from the crowd. The postcards are printed on high-quality 16 pt. UV-coated cardstock, which is sturdy and perfect for mailing purposes. The thick cardstock does not easily bend or crease. It maintains its shape and stands strong among the less durable postcards of your competition. This gives your business an image of superiority and leaves your artwork untouched for your customers to see. The cardstock is glossy on both sides to bring out the vibrant colors from your artwork. Spot UV postcards are available in two coatings: glossy and matte. The glossy coating provides a high-shine finish that appears almost wet when used on dark colors. The matte coating has no glare and is perfect for postcards with understated color palettes. Both coatings are abrasion-resistant, which is great when handing out the postcards in person or sending them through mail. Is Spot Varnish the same as Spot UV? Yes, Spot UV is also known as Spot Gloss, Selective Varnish, and Spot Varnish. Although the names are different, the process is still the same. Can I use Spot UV on white stocks? Yes, although the effect will be subtler than on a dark-colored background. Can we print QR codes on the postcards? Yes, we can print QR codes on the postcards to help you drive more sales. Is it possible to have the Spot UV on both sides of the postcard? Absolutely. The placement of the UV coating depends on you. We can put it on the front only or on both front and back. Can I write on the postcards using a ballpoint pen? A ballpoint pen should work just fine even if the postcard is treated with Spot UV. However, you may not get the same result with other types of pens. What’s the most cost-effective option for mailing postcards? The 4” x 6” postcard printing is a cost-effective option for promoting your business. The small size allows you to send them out without spending a lot. Not what you're looking for? Check out all postcard products. Use our postcard templates to save time and to ensure that your artwork is sized and formatted correctly. Download our templates by selecting the file type and postcard size.